Specializing in permanent makeup, bridal and more! Eastern Shore Makeup has Style! 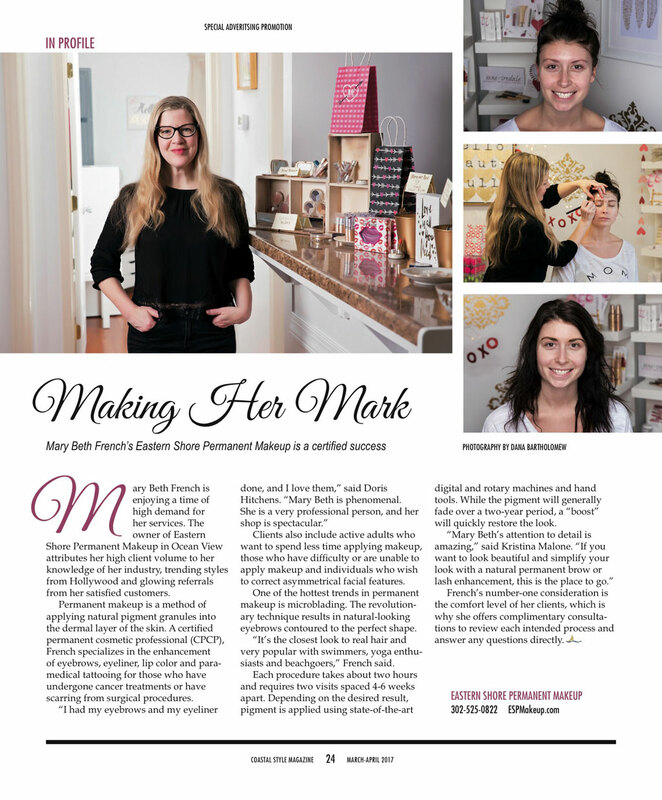 Check us out in the March/April issue of Coastal Style Magazine! Jane Iredale – Let your beauty shine, naturally!! !